Thank You Richmond Secondary School! 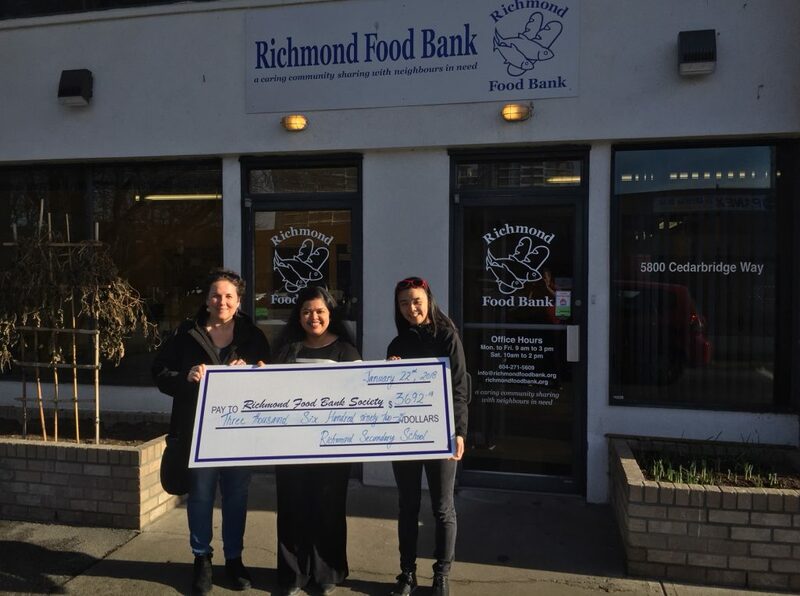 A big thank you to Richmond Secondary School for their generous donation of $3692.13! Richmond Secondary collected this money during their December donation drive. We are very fortunate to have the support of local elementary and high schools, including Richmond Secondary. Richmond schools hold donation drives throughout the year- at Thanksgiving, Halloween, at Christmas time, and at spring- and bring in high quality non-perishable food items and monetary donations. Richmond Secondary School alone has raised over $12 000 over the past eight years. Thank you, Richmond Secondary School, for this generous donation. Your continued support goes a long way to helping our neighbours in need.